Great comfort for all day wear. I've long been a fan of Isis bras, but the Active Bra which I reviewed earlier, has a different fit then a lot of their bras. In this bra, since I thought I was a Large in the Active Bra, I order a large in this bra. I am normally a 36B, but in some Isis bras of the past a medium has been too tight around or the straps are too short for my long torso. In this bra a large is true to the sizing chart on Isis. 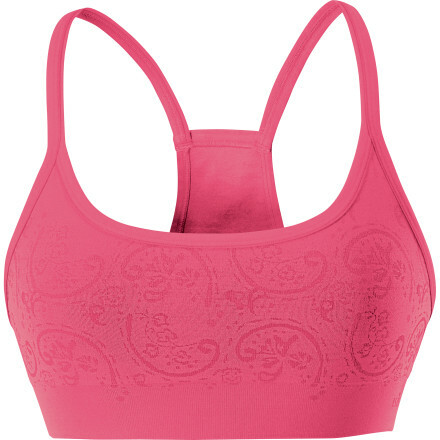 It is just hard to know what the fit of this brand is without trying it on in the store, as great as their bras are, not all stores carry all their products (Onion River Sports in Montpelier, VT does a great job of carrying this brand in full style choices). Otherwise, I think that once I get this bra in a medium, I will love to wear it for hiking in cooler weather and everyday wear. Also in the medium I think it will boost the girls enough to be a flattering fit without needing to upgrade to an underwire bra. 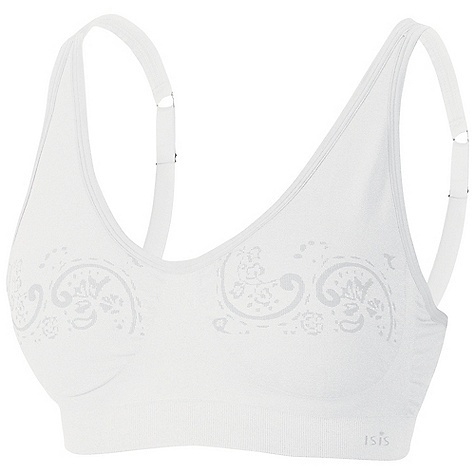 It is a bit thick for really humid weather, but I think overall it wicks well and is a great bra. The slightly wider (but not too wide) straps don't dig into the shoulders and the cup shape is flattering enough to be worn with a V neck. If going to a yoga class, one may want to bring a bra that doesn't scoop down so low. It didn't bother me, as things like that usually do. However, I wasn't carrying a ton of weight. I imagine if I was backpacking for more than a few days I would notice it. Did you hear that Isis is no longer soon? So if you want to try this out... better look now. I saw some on GearTrade.com as well. I still need to get a Medium, as the Large was too big for me. TYVM! I did wonder about the company as there were no bras on their website - thanks again! Lori: Try GearX.com and search "Isis". It is a VT store (where Isis used to be) and they have all their bras on sale. Not sure what sizes are left. The Isis Henna Day is not available from the stores we monitor. It was last seen November 10, 2013	at Moosejaw.